Party People Event Decorating Company: Florida Southern College Fair Well 2015! 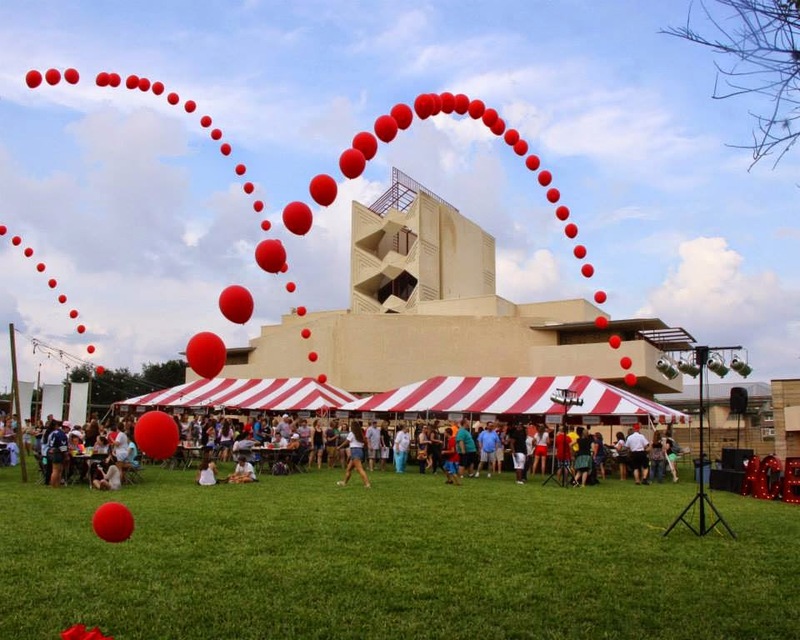 Party People enjoys being the Balloon Decor company servicing student events at Florida Southern College. 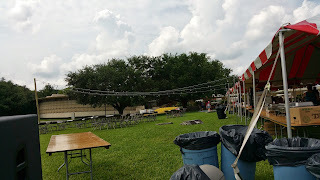 With graduation right around the corner today was a beautiful day for Fair Well 2015. The college requested we create large arches of balloon over the lawn to the tent to accent the food area. 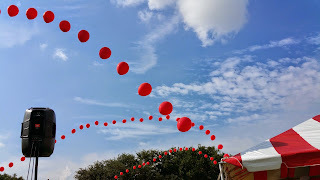 3 Balloon arches look amazing against the beautiful sky. Arches made out of large 16 inch balloons to Paint the air with color - and dance in the Wind. Students enjoying the festivities! To have Party People Color the Air with Balloon Decor for your event call (800) 752-3650 ext 2!